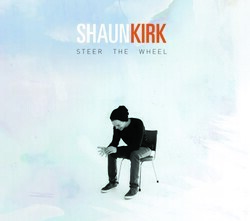 A critically acclaimed purveyor of high-energy blues and soul, Shaun Kirk is releasing the second single, 'Two Hands on the Wheel' from his latest record 'Steer the Wheel'. the Good Morning Show during his latest NZ tour. Melbourne's three-piece riff rockers Dallas Frasca announce the release of their brand new single 'You Are Beautiful'. Staying true to their heavy rock roots, Dallas’ unapologetic vocals lead the procession in this modern day protest song, with a bold message of awareness and self-acceptance. Matched by the colossal guitar tones of Jeff Curran, You Are Beautiful is packed with punch and plenty of heart. 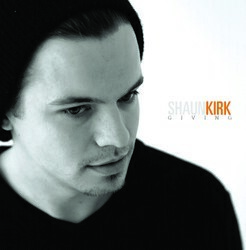 Labelled “one of the most explosive acts this country has to offer” (Mixdown Magazine), Shaun Kirk has solidified a strong following with his high-energy blend of soulful blues. Papa Pilko and The Binrats have a sound that's been described as “wild blues and slick swingin’ country rock n’ roll… with horns”. The song takes you on a rollicking, booze-soaked procession of barreling drums, soaring horns and sharp guitar licks led by Pilko’s howling vocals. This high energy track could be labelled as Kirk's first 'protest song'. With a driving blues riffs and Shaun's trademark soaring vocals, this new single is a testament to his ever evolving blues style. Enchantingly beautiful, down-to-earth and absolutely spellbinding, Loren Kate has cast a sublime and haunting web over audiences around the country with her unique and unforgettable sound and soul. An upbeat and catchy song, warm ukulele riffs - an honest, beautiful declaration of love from a mother to her daughter. Howlin' Steam Train are ragged, relentless, and freakin’ fun. A nice n’ boozy cocktail of rock, soul, boogie and a bunch of other stuff you can’t quite pin down. ‘Chinatown’ is a riff happy electric party starter. Leon Thomas. Old soul. Voodoo child. A rock and roll peacenik, a fighting-fit folk stinger. Leon is a fierce singer/songwriter from Melbourne, Australia. His influences span Dylan, Hemingway and Hendrix. 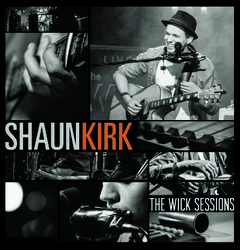 Shaun Kirk is an accomplished blues/soul singer songwriter and acclaimed multi-instrumentalist celebrating the release of his brand new live album and DVD, 'The Wick Sessions'. 'Every Dog Will Have It's Day' portrays a catchy 'down and out' blues riff which builds up to an exhilarating crescendo. A fine display of Shaun's extensive vocal abilities and intricate guitar work. Front woman Clairy Browne and her harmonizing girl group the Bangin’ Rackettes formed in 2009 over a mutual love of 90’s dance videos, early r'n’b records and big hair. A sweet ode to that all-too-familiar, early morning journey home ‘Walk of Shame’ reveals a progression in their aesthetic and a softer side to Browne whilst remaining true to their trademark sound of heart wrenching doo-wop and soulful rhythm n’ blues. The Perfections are the latest addition to Melbourne's thriving soul scene. The six piece outfit are equal parts Northern Soul and Detroit Garage. 'Peaches' is an upbeat, punchy soul tune driven by the feisty vocals of lead singer Christina Arnold and back by a wild horn and rhythm section. Peaches will seduce you! Formed in 2009 over a mutual love of roots / Americana records, The ReChords fuse western swing, hillbilly and rhythm and blues in an engaging live experience. The track was produced by Lindsay Gravina from Birdland Studios and sees the band taking on a new musical direction, whilst remaining true to their trademark sound of rhythm and blues, western swing and hillbilly with touches of country and gospel. After two years of pioneering music from their sub-tropical abode in the southeast Queensland rainforest of Natural Bridge, 'Laneway' have crafted a stunning new release entitled, ‘Turn Your Love Up’. A haunted ballad with wild arrangements, featuring the exquisite harmonies of Paul Hannan and Louise O’Reilly, two parts of Laneway. The track displays strong and striking roomy guitars, both gritty and delicate, reflecting light and shade, with well-spaced vocals and diverse compositions. Folk/bluegrass band John Flanagan & the Begin Agains blend Americana stylings with deeply honest Australian storytelling to create their simple and expressive style of bluegrass/folk. An upbeat bluegrass / folk driven track celebrating the innocence of a young mind. Stella Angelico is a woman who sings because she must, her voice and violent hip shaking performance is an explosion of the untamed feminine. 'Mister' is a handclappin', foot tappin' soul-driven track which could have come right out of 1967. Angelico's vocal are both raw and delicate. She is fierce and fiery in her delivery, evidently a woman you would not want to mess with. Saint Jude are a Melbourne based five-piece playing gospel tinged country and garage blues with a rock'n'roll swagger. Featuring members of Little John, Dynamo and Downhills Home. I Don’t Know Why is a gentle, country-tinged pop burn full of quilted harmony and reminiscent of the sweet sentiment of decades gone by. Musically it is a measured, faithful assertion of hope and ambition, and as such, fittingly stands as one of Saint Jude’s paragon moments. 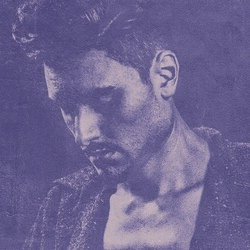 Shaun's charming style of boogie blues & soul on, 'Thank You for Giving Me the Blues', seeing the twenty-three year old troubadour take a leap in musical maturity. An upbeat, blues guitar and harmonica driven track complete with the grinding and resilient vocals of Shaun Kirk. A song about moving and and not looking back. Explosive nine-piece rhythm and blues outfit lead by the fiery Clairy Browne and her Bangin' Rackettes, take you through northern soul, jump blues, doo-wop, ska and gospel. 'Love Letter' is an upbeat track complete with backing harmonies, hand claps and a full procession of keys and horns reminiscent of 1960's northern soul motown greats such as Tina Turner and the Ikettes. Troubadour, conjure woman and story weaver, Emily Davis has released her second album, ‘Undone’. Davis draws on goth-country, swampy blues and gypsy folk influences, revealing her spectacularly dark dream world. intense lucid dreaming and dark corners of family history from her mixed Lebanese-Australian bloodline. Jenny M Thomas and the System release their debut album, 'Bush Gothic'. A collection of traditional Australian bush songs, re-worked and planted firmly in the 21st century. ‘Black Velvet Band’- is a transportation song of Irish origin. Betrayal, crime and a beautiful woman are the central themes of one of Australia’s most played folk songs.